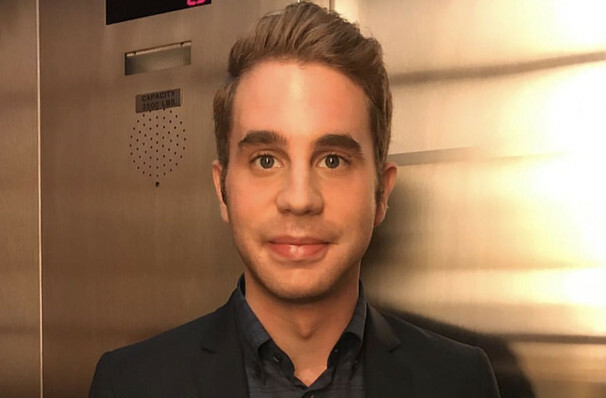 Best known for originating the role of troubled teen Evan Hansen in all three of Dear Evan Hansen's Washington, Off-Broadway and Broadway productions, Ben Platt's star is on the rise. Not only winning a Tony but also a Grammy for his title role, Platt's powerhouse vocals and acting chops have rightfully found their way to a collaboration with Lin Manuel Miranda, as well as roles on 'Pitch Perfect' and 'Will and Grace'. It comes as no surprise that the multi-talented performer has recorded his debut album and is hitting the road to bring it to the stage this spring! Entitled 'Sing To Me Instead', the album chronicles the highs and lows of a relationship from start to finish including the addictive butterfly stages, arising complications, the dissolving of love and the finding of self. Unapologetically pop, Platt wrote the album with the likes of Kesha-hitmaker Ben Abraham and Charli XCX writer Michael Pollack, and cites Adele and Sam Smith as his influences. Seen Ben Platt? Loved it? Hated it? Sound good to you? 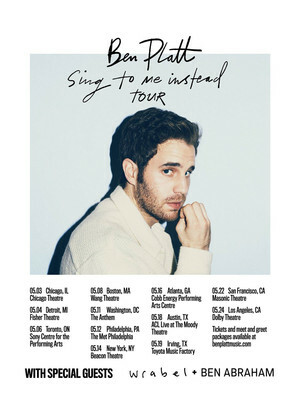 Share this page on social media and let your friends know about Ben Platt at The Chicago Theatre.